Splunk is a software platform for machine data that enables customers to gain real-time Operational Intelligence. Get your data ready and start your journey to AI. Organizations that ignore AI will soon be left behind by more agile competitors. IBM Cloud Private for Data accelerates your journey to AI by bringing a powerhouse of IBM technology to seamlessly collect, organize, secure, and analyze data from across your enterprise. Rapidly provision data scientists, data engineers and developers of data-driven apps so they can work faster than ever with role-specific interfaces. Simplify hybrid data management, unified data governance and integration, data science and business analytics with a single solution. No assembly required. Accelerate innovation by enabling data science with a high-performance analytics platform that's optimized for Azure. Arcadia Enterprise provides a visual analytics and BI platform native to big data platforms such as Apache Hadoop, Kafka, and the cloud. Teradata Listene is an intelligent, self-service solution for ingesting and distributing extremely fast moving data streams throughout the analytical ecosystem. * We monitor all Qlik DataMarket reviews to prevent fraudulent reviews and keep review quality high. We do not post reviews by company employees or direct competitors. Validated reviews require the user to submit a screenshot of the product containing their user ID, in order to verify a user is an actual user of the product. Hi there! 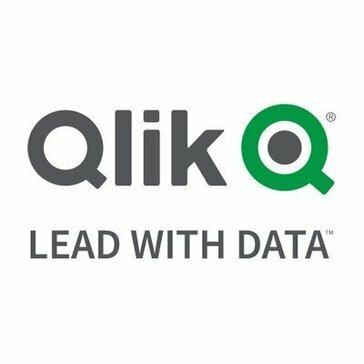 Are you looking to implement a solution like Qlik DataMarket?